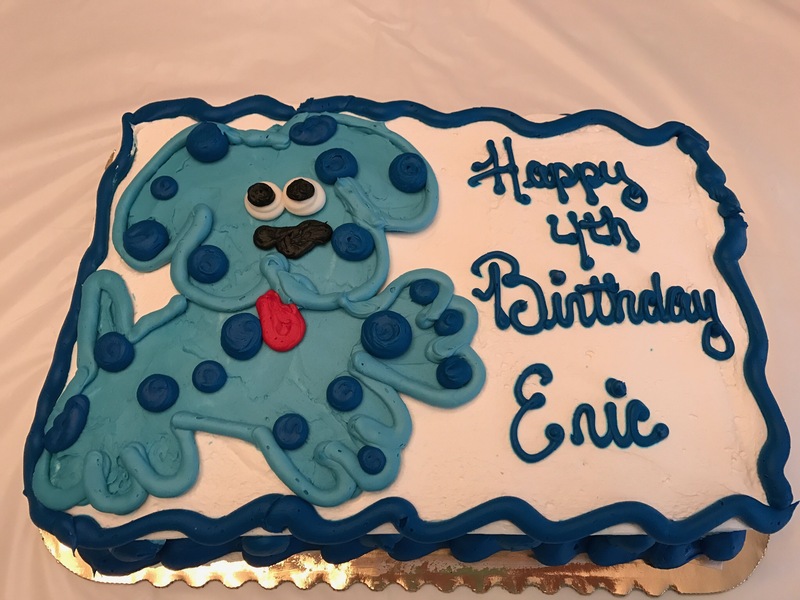 I was searching the web for cool cake ideas for my sons Blue’s Clues party. I know many cake places will not copy an exact picture because of copy right issues so I thought the design I found would be okay. I printed up a copy and went to my local supermarket and put my cake order in. I think they did a great job decorating the cake. Especially, because this is a whipped frosting and not a traditional butter cream.